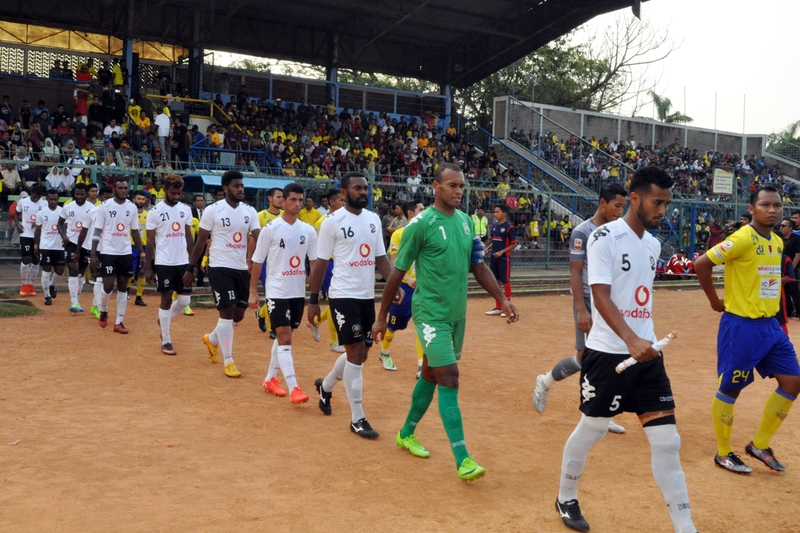 Fiji have wrapped up their Indonesia tour with a 0-0 draw against Cilegon United FC. Following their scoreless draw against the Indonesia national team on Saturday, Fiji concluded their Indonesia tour with another 0-0 result against Cilegon United FC at Krakatau Steel Stadium in Jakarta on Monday afternoon. The Bula Boys’ fresh-faced starting line-up featured many of coach Christophe Gamel’s recent recruits with goalkeeper Simione Tamanisau and captain Remueru Tekiate adding experience in the backline. Both teams were neck-and-neck for the majority of the first half with Remueru, Kolinio Sivoki and Laisenia Raura working hard in the backline and Setareki Hughes causing trouble for the Indonesia defence at the other end of the field. Roy Krishna made an impact when he came on with three minutes left in the first half and lifted the intensity in the second half. Fiji dominated possession until the final whistle but were unable to convert the several opportunities created in front of goal. Krishna and Epilo Saukuru came closest to scoring after making breaks through the Cilegon defence but the attempts were denied by the sidepost and the Cilegon goalkeeper, respectively. With their Indonesia tour wrapped up, Fiji will return home to continue their journey towards ‘Mission 2026’.